Do something different on your next family holiday. How about discovering the delicious world of tropical fruits with the whole family? Plantation Safari Guided Tour – With this safari, you get to ride a tractor train and enjoy a fully guided farm tour. Explore the vast orchard of Tropical Fruit World. See, touch and sample their delightfully good fresh fruit. You might even find a new favourite! Exotic Fruit Tasting Session – This is not just a simple fruit tasting session. 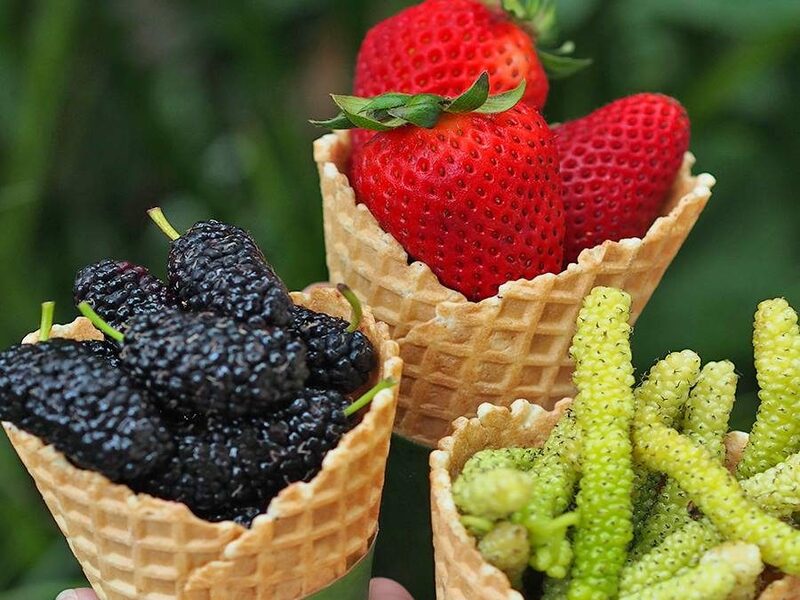 Here you get to sample some of the weirdest but delicious fruits in the world such as caramel fruit, champagne fruit, cheese fruit, and ice-cream bean. Make sure to also sample their jams, sauces and other healthy products. Besides tasting, you will also learn all about these fruits – origin, uses and health benefits. If you have any questions, don’t be afraid to ask their friendly and knowledgeable presenters there to help. Wildlife Boat Cruise – All aboard the “MV Waterdragon” and see the abundance of native wildlife along the waterway. You can even feed the birds and marvel at the beauty of the ducks, geese, and swamp hens. Keep your eyes peeled for you will find more wildlife along the way. Miniature Train – If you want to explore more, take the miniature train. This train travels around the island reserve of native eucalypt forest. Spot some wonderful creatures such as frogmouths, koalas, and water dragons. Fauna Park – Visit some of Tropical Fruit World’s feathered and furry friends. Meet their gentle giant Sherman the Clydesdale horse and other friendly farm animals at the Fauna Park. The Island – Located at the centre of the farm is the Island recreation area and playground. After your tour, you can simply rest or play a game or two with your family and new friends. There’s a flying fox ride and mini putt putt golf as well as free sporting and games equipment. Need a place to stay? Book your accommodation at Cabarita Beach Resort. We are only a few minutes from Tropical Fruit World, offering Kingscliff luxury accommodation fit for the whole family. We have a superb range of guest facilities as well as a restaurant and bar.